That is a huge tax bill, no matter what your name is. However, it is not Snoop’s first time owing back taxes. A tax lien in the amount of $476,000 was issued to him back in 2008, but he paid up right away as soon as the lien was issued. Could it be possible that Snoop just forgot about the taxes? (We know weed can lead to memory loss, right?) Snoop Dog/Lion has been a busy man these last few years. The former gangster rapper went rasta and completely changed his entire lifestyle and mindset. He spent time in Jamaica recording his new Rasta album. He also filmed a movie, titled “Reincarnated,” chronicling his journey from the gangster rap lifestyle to his new found Rastafarian peace. Reincarnated premieres March 15, and we know it has been keeping him busy. It has also just came out that Mr. Lion is also coming out with a video game, titled “Way of the Dogg”, and it’s said to be coming out some time this year! Well, we know that Snoop is super busy right now, and has a lot on his plate, so perhaps the back taxes just slipped his mind? Hey, it could happen! Seems like a career in hip hop can sometimes be a magnet for tax issues. Snoop is not alone in his struggles with Uncle Sam. Lauryn Hill, Mary J. Blige, Nas, Jermaine Dupri, and Katt Williams have all had run ins with the IRS lately. Is something in the hip hop water? We don’t know, but the fact is that Snoop is no stranger to trouble, be it with Uncle Sam or with the law. 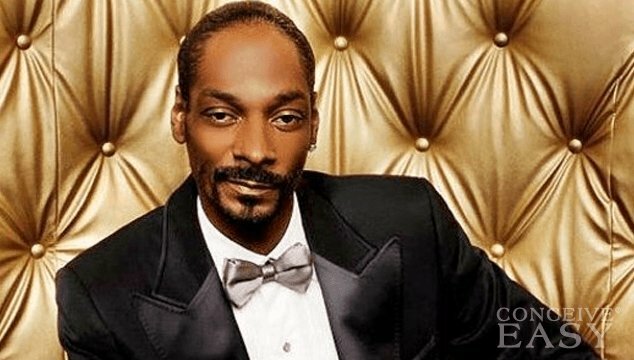 Snoop has been arrested for drug possession more times than we can count, sued for assaulting a fan onstage, weapons violations, and he has been banned from entering various countries due to “character grounds”. However, all of that has changed for Snoop, since his Rastafarian lifestyle change, and he has even given up all of his weapons, that he formerly cherished.